Judith Levy Cohen, M.Ed. has been a dynamic leader in the educational community of New York City for more than forty years. 2013 marks the thirtieth anniversary of her private practice in Manhattan as a Learning Disabilities Specialist focusing on diagnosis and remediation. Judi has provided teaching, remedial and consulting services as well as faculty mentorship to the learning resource centers and mathematics departments of a number of public, private and parochial educational institutions including: The Allen-Stevenson School, The Brearley School, The Chapin School, The Collegiate School, The Convent of the Sacred Heart, The Heschel School, New York City District 2 Public Elementary and Middle Schools Riverdale Country Day School as well as Oak Hill Academy in New Jersey. Judi is thrilled to be able to say that she has reached the stage of her career where she proudly works with the children and grandchildren of former students. Judi began her teaching career in New York City as an elementary school teacher at the Midtown Ethical Culture-Fieldston School, where she advanced to become the Assistant Principal. 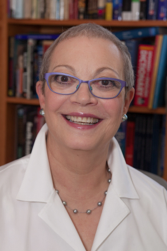 In conjunction with her private practice, Judi has taught on the college and graduate school levels at Bank Street College and Fairleigh Dickinson University, focusing primarily on clinical teaching in mathematics education. She is a sought-after workshop leader and facilitator, specifically regarding learning disabilities and mathematics education. Judi served as the Director of Educational Services at Family Health Associates from 1985-1990 during which time she also edited elementary mathematics textbooks for the Houghton Mifflin Company. Judi has been a member of the National Council of Teachers of Mathematics, The New York Orton Dyslexia Society, the Association of Supervision and Curriculum Development and the National Academy of Science. She holds a B.S. in Education from the University of Pennsylvania and her M.Ed. from Temple University, where she received her certification in learning disabilities. She earned a Post-Graduate Degree and a New York State License in Educational Administration and Supervision from Hunter College.